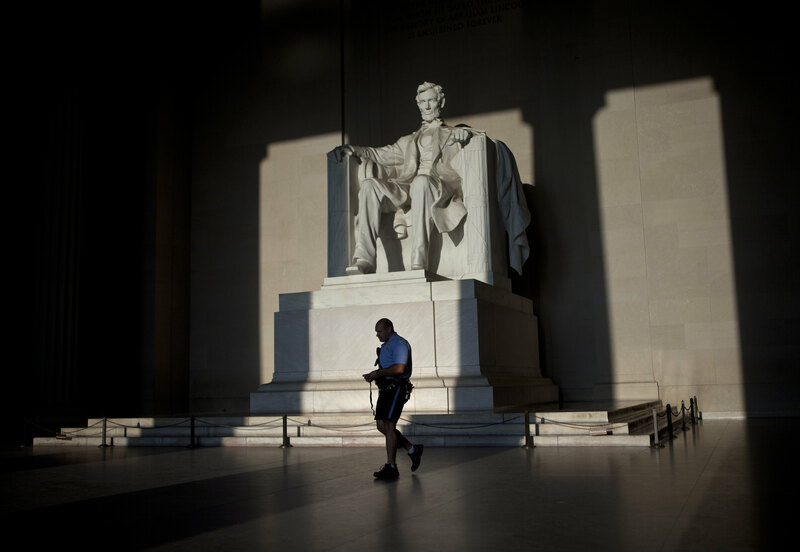 The Lincoln Memorial, which was vandalized early Friday morning with green paint, may be reopened later today. Police became aware of the vandalism around 1:30 a.m. on Friday, and found green paint splashed on the leg and base of the Lincoln statue. Investigators are now reviewing surveillance cameras, and part of the memorial remains closed. Crews have already cleaned the base of the memorial with a pressure washer. "It is not permanent damage. It can be cleaned," said Carol Johnson, the National Parks Service spokesperson. The steps to the memorial have been reopened, and the chamber will open after the paint is removed, which could be sometime today.